Hurdle Rates Definition What is a Hurdle Rate? Hurdle Rate Definition: The minimum return necessary for a hedge fund manager to start collecting incentive fees. 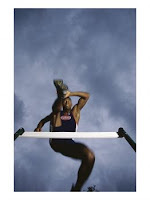 The hurdle is usually tied to a benchmark rate such as Libor or the one-year Treasury bill rate plus a spread. If, for example, the manager sets a hurdle rate equal to 5%, and the fund returns 15%, incentive fees would only apply to the 10% above the hurdle rate. Permanent Link: Hedge Fund Hurdle Rate Definition - What is a Hurdle Rate? Who are the most powerful hedge fund professionals in the industry? I am currently my 1st annual poll to come up with a list of the top 10 most influential professionals within the hedge fund industry. These could be hedge fund managers, regulatory professionals, consultants, fund of hedge fund leaders, etc. Please send me your suggestions on who you think should be on this top 10 list and I'll re-publish this post next quarter with the results of votes I receive through this hedge fund blog, my hedge fund forum (HedgeFundMessageBoard.com) and the Hedge Fund Group (HFG). I get a lot of questions such as What Are Hedge Funds? What do hedge funds invest in? or most often, Will A Hedge Fund Invest in My Company? Here is my answer to "What are Hedge Funds?" Permanent Link: What Are Hedge Funds? Related Terms: What are hedge funds? What are Fund of Hedge Funds? What are Hedge Fund Managers? What are Hedge Funds Investing in? Thank you for participating in the 2nd “insider’s” interview. The goal of this series is to pick the brains of insiders who deal with the business of money and to try to dig beyond the headlines. Tell me a little about yourself and what you do? My name is Richard Wilson and I am a hedge fund consultant and founder of the Hedge Fund Group (HFG). I work for a third party marketing firm and our job is to find new investors for unique and top performing hedge fund managers. We look at over 300 hedge funds a year, sift through those, and then work with around 1% of those for 3-5 years at a time. As a pretense to everything else said in this interview I just want to make it clear that I’m not a financial advisor and nothing I write about here or in my blog should be taken as financial advice, guidance or recommendations. I simply write about hedge funds and enjoy networking with wealth advisors, family offices and institutional consultants. Hedge funds are perhaps one of the most misunderstood investing products in the market today. Some believe they are controlled by a Connecticut based cabel manipulating the financial markets. Others think they are the greatest thing since sliced bread. Let’s try to demystify the product and industry. What is a hedge fund? Who ideally is best suit to investing in hedge funds? If hedge funds are only suited for accredited investors and, thus, by definition, open to 10% of the population at most why the disproportionate amount of the media attention? While hedge funds are only open to 10% of the general population almost any institution can invest in hedge funds. Endowments, foundations and pension plans all have access to these types of products if they wish to use them for managing their own portfolios. For example, there are over 450,000 foundations in the United States, while many do not use hedge funds a percentage of them do and each group’s assets are generally many times the size of the portfolio of an individual. In aggregate these institutional assets add up quickly. Over the last 5 years institutions have typically been allocating 6-12% of their portfolios to hedge funds or alternative investments (generally private equity and hedge funds). Now the trend is to start allocating 12-20% of their total portfolio to hedge fund managers and alternative investment options. The short answer is that hedge funds make up a large percentage of the equity trades each day within the stock market and are often involved in activist proxy battles and takeover attempts that seem to make the headlines on a weekly basis nowdays. For those who are accredited investors and what exposure to hedge funds, what is the ideal percentage of one’s portfolio that should be invested in hedge funds? I can’t make this type of recommendation since it comes to close to providing financial advice, but every major publication has recently disclosed that institutions have been gearing up to allocate 12-20% of their portfolio to hedge funds and alternative investments. This could or could not be too aggressive for an individual; it really depends on your situation in terms of both age and level of assets. I know you can’t answer for your entire industry but do you have any comments to the criticism that the hedge fund community unnecessarily focuses on short term gains (because a large portion of its compensation is based on annual profit) sometimes to the detriment of publicly traded companies? For example, two hedge funds publicly lobbied for the merger of TD Ameritrade and E*Trade against the wishes of management. It was perceived by some columnists that the lobbying was to create a short term gain in share price. Of course, we all subsequently found out that E*Trade had significant exposure to subprime mortgages. While some hedge funds are pushing for short-term performance most are shooting for long-term returns. Anyone who has been in the industry for more than 3-5 years know that sophisticated and un-sophisticated investors alike don’t really take a hedge fund manager seriously until they have 5-7 or even 10 years of a track record of running money. If you shoot only for short-term returns you are dead. Hedge funds do try to make money though, that’s how they earn their out-sized bonuses each year. I think the real question is why are so many people invested in mutual funds? If you could manage equities for a mutual fund for $400,000 a year or manage equities for a hedge fund for $5 million a year where do you think the majority of talent is going to flow? It is like playing basketball professionally in Canada or being on a team in the NBA. The talent flows to where the money is. Also, the reason why good stock pickers can make more money at a hedge fund is that the interests of hedge funds are aligned with their investors...hedge funds typically take a 2% base fee and 20% of upside performance. 90% of profits are usually made off of that 20% upside performance and that just doesn’t exist in the world of mutual funds. Mutual fund managers and companies in general earn money based on total assets under management. Do you believe that the negative publicity of the industry is self-inflicted? The community clusters in a relatively remote (albeit really nice) part of the country, rarely speaks public except to grill board of directors (whether justified or not, the public statements have a negative tone to them). I believe it is SEC inflicted. Hedge funds are restricted by current laws not to do any marketing or sales. Most hedge funds avoid all media contact and public exposure in general. The reason why you only hear them grill boards of directors and nothing else is because as public companies that information has to be made public. This is partially why I keep writing in my blog, hedge fund managers can’t write much to the public on their own industry and the WSJ and NY Times like to either focus on activist hedge funds or draw conclusions on the hedge fund industry as a whole based on what the 10 largest hedge fund managers are doing. There are 10,000 hedge funds out there now, 60% of what you read in mainstream media is not true for the vast majority of those hedge fund managers. Financial Times wrote an article [http://www.ft.com/cms/s/0/254c0b62-cdc5-11dc-9e4e-000077b07658.html?nclick_check=1] commenting that it was the banks and not the hedge funds that were affected by market shocks. The implication of the column was that hedge funds, which are typically managed by few key decision makers and not committees, had structural advantages to other institutions. As hedge funds get larger and larger, will there be a reversion to means for hedge funds? I love that article, it’s a great opinion piece on how hedge funds have faired vs. banks in the recent market turmoil. I think it is true that hedge funds are leaner, more profit driven and hungry than large banks who need four levels of approval to expense their lunch. To your point on reversion to the mean as hedge funds grow, I think we are already there now with over 10,000 funds. In this case I think that overall returns might return more to average as the number of hedge fund managers grow, but I think we are a long way off from having more than a handful of hedge funds build in the type of lethargy you find in large banks. A side note to that, most hedge funds weren’t directly impacted by the sub-prime meltdown. Let’s take about careers. There’s increasing talk that the future in sell side is limited and the place to be is buy side (for definitional purposes, sell side are the retail brokers who sell securities; whereas buy-side refers to the portion of the financial industry, such as pension funds, who buy assets and manage them). If someone wanted to start a career on the buy-side, what are 3 pieces of advice you would give them? The day you graduate from college start studying for and earning your Chartered Financial Analyst (CFA) designation. Never do anything un-ethical. If you are sharp and passionate you have no need to ever cut corners. Avoid people that do like the plague. Do you own compliance and due diligence research. 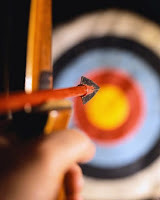 Look up your potential or current boss within the FINRA or SEC records to see if they have marks against them. Meet with a compliance lawyer yourself to make sure your activities are all legal with securities laws. Do your own homework because many times nobody is going to do it for you. As usual, here’s your opportunity to plug your blog and your new book. If anyone has more questions regarding hedge funds they can email me directly at Richard@RichardCWilson.com or read through some of the 250 hedge fund articles within my blog at http://richard-wilson.blogspot.com/. If you hate clicking dozens of times to read multiple hedge fund articles my free hedge fund blog book can also be downloaded at http://hedgefundsbook.com/. Thanks for your time Richard. 1. What is a Hedge Fund? This website is now accepting relevant hedge fund advertising profiles and articles. All advertising must be directly related to hedge funds. To set up an advertisement on this hedge fund blog please email Richard at Richard@HedgeFundGroup.org or read below for more details. "I have spent a ton of money over the years on advertising on certain sites: HFM, Hedegco.net, Hedgeworld, Barclays, and Fin alternatives. Richard Wilson’s blog really targets my audience that I’m looking for. I have made more contacts and possible leads from his blog and website then from all my advertising combined over the last 3 years. Also, if you Google Search for the blog or site it comes up really high on searches. Which is very important when Hedge Funds are looking for our services. The blog really focuses on the Alternative universe. It’s a very good investment." If you would like to explore partnerships or advertising on my hedge fund blog please just send me a short email at Richard@HedgeFundGroup.org. Todays thrilling blog post is on Kurtosis! While maybe not as dramatic to read about as Clinton bashing hedge funds you can often find Kurtosis statistics within hedge fund analytics reports. It is important to get rough feel for what it means because it can help evaluate the distribution of variance in returns or whatever set of data you are analyzing. Kurtosis Definition: In probability theory and statistics, kurtosis (from the Greek word kurtos, meaning bulging) is a measure of the "peakedness" of the probability distribution of a real-valued random variable. Higher kurtosis means more of the variance is due to infrequent extreme deviations, as opposed to frequent modestly-sized deviations. If you would like to see this used within a hedge fund white paper, here is a report on "The Problems With Extreme Hedge Fund Returns" which references kurtosis within the discussion. Articles Related to "Kurtosis Definition & Explanation"
Important Note: This is not a up-to-date list, complete list or recommended list of hedge funds. It is simply a list put together by Investment Seek that I would like to reference here in hopes of aggregating these types of publicly available listings of hedge funds. Launched by Robert Atchinson and Phil Gross in 2001. Specializes in Convertible Securities, Credit, Equities, Event-Driven Investing, Investment Grade Credit Default Obligations (CDOs) and Asset-Backed Securities (ABS). Clinton Multistrategy, Trinity, Clinton Global Fixed-Income, Clinton Arbitrage, and Clinton Riverside. Offers portfolio management and investment services focused on all aspects of environmental and socially responsible investing, customized to meet our clients overall risk tolerance and investment objectives. Manages a number of multi-manager funds and also acts as sponsor for a select number of early-stage hedge funds. Focused on the incubation and acceleration of hedge funds in a variety of market sectors. Specializes in low risk merger arbitrage. Manages a variety of financial programs for institutions and high net worth individuals around the world through its SEC or CFTC-registered affiliates or other alternative investment firms. Hanseatic trades managed futures, invests in domestic and global equities, manages hedge funds, uses interbank currencies to enhance the yield of equity and debt portfolios, forecasts currencies, including thirty-five emerging market currencies, and runs private equity portfolios. HighYieldReturn.com - invests in bridge loans. Focuses primarily on European special situations. Specializes in single manager event-driven hedge fund strategies at the lower-risk end of the hedge fund spectrum. Manages dynamic multiple-strategy relative-value investment vehicles. Returns are generated by investing in core fixed-income strategies complemented by equity and currency strategies. Antenor Fund (long only), Beaumont Fund (long/short), and Curan Fund (market neutral). An alternative asset manager and managed futures advisor for institutions and sophisticated individuals. Systematic funds (Systematic Futures Trading, Statistical Arbitrage), Long/Short funds (Long/Short Equity, Event Driven), Convertible Arbitrage (Europe), and Exotic funds (weather derivatives, high yield). Raptor Global, Tudor BVI Global, Tudor Hawthorn. Strategies include global macro trading, fundamental equity investing in the U.S. and Europe, emerging markets, venture capital, basic industries and commodities, event driven strategies and technical trading systems.